Hello, friends! 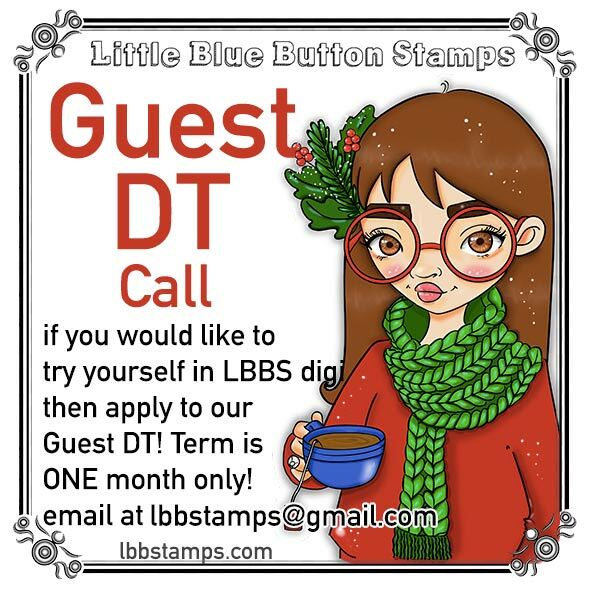 I am back with my final Guest Design post for Little Blue Button Stamps. I have greatly enjoyed working with these beautiful images! 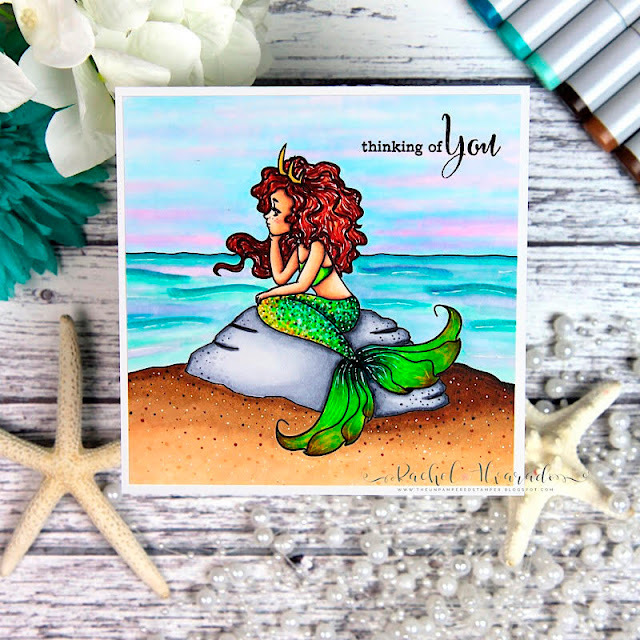 Today, I have a colorful single-layered card to share with you today showcasing the gorgeous Mermaid Digital Stamp. To start, I first downloaded my image to my computer, sized it to my liking and then I printed it onto a sheet of Neenah Classic Crest Solar White 80lb Card Stock. 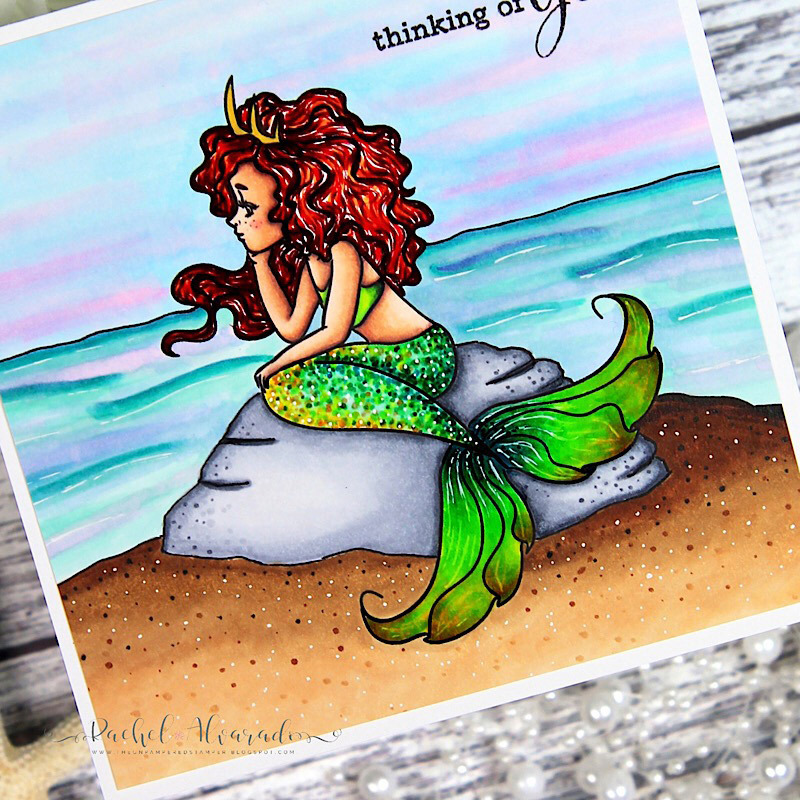 I wanted my mermaid to look like she was serenely sitting on a rock while daydreaming, so I loosely drew in my background scenery with a pencil and then retraced it with a Copic .05 mm Black Multiliner Pen. I then used Copics to color my image. Lastly, I stamped my sentiment with black ink. You can check out the other sweet digi stamps from Little Blue Button Stamps online store HERE. Use the code rachel15 to save an additional 15% until January 31st! I hope you enjoyed my card today! Thank you so much for stopping by! If you liked this card and want some more crafty inspiration, don't forget to check out my INSTAGRAM feed! Wishing you all a wonderful day and happy card making!